After the Connecticut GMO labeling bill was killed this past May at the end of the legislative session, there were a lot of angry people. Within hours of the demise of the bill, the lead activists in CT were brainstorming about how to turn things around and how to turn a frustrating, bad situation into something positive and productive. One of those activists was Diana Reeves, the founder of GMO Free USA and someone I feel extremely privileged to call my friend. Diana immediately had a very clear vision and had a deep sense that GMO Free USA could have a major impact. Diana's concept became a reality very quickly. She wanted a group of at least 5000 people on Facebook and/or yahoo to join together with the common purpose of selecting one company at a time to boycott and start a phone, e-mail, Facebook, and Twitter campaign to demand that these companies remove GMOs from their products. GMO Free USA is now a powerful group with thousands of like-minded, passionate individuals wanting to make a difference and let their collective voices be heard. "Thank you for contacting us about biotechnology ingredients. We truly appreciate your opinion and are grateful that you have taken the time to express your concerns. We value the opinion of consumers such as you who are passionate and interested about the foods you buy. We want you to know that we hear you and, like you, want only the best ingredients to go into our products. It's important that we capture your viewpoint so that we can share it with our team in helping to gauge public opinion about biotechnology. 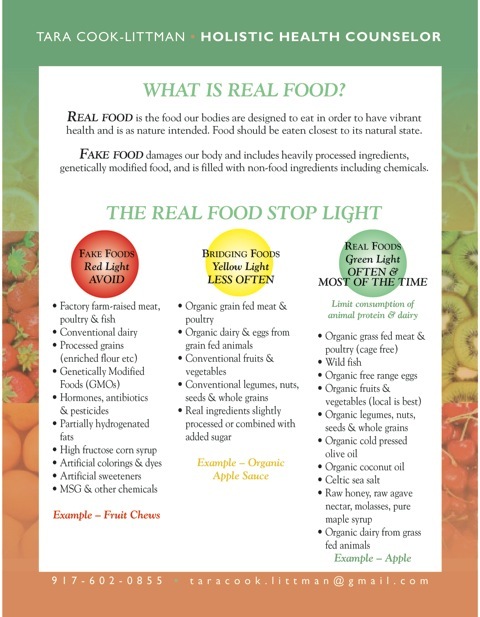 We take seriously the trust placed in us to provide healthy, nutritious, and safe food. We will continue to evaluate our ingredients, suppliers and product formulas to provide the best products possible. Thank you for being so respectful in your response, but get GMOs out of your food NOW. Our campaign will not stop until you do. If you are serious about providing "healthy, nutritious, and safe food" as you say, then you would begin removing GMOs from your products immediately. The debate over GMOs goes way beyond the fear that GMO foods represent a type of 'biological' pollution" as you say, but rather that GMOs are slowly poisoning the America people and are causing a whole host of diseases and health problems such as immunological disorders, gastrointestinal disease, infertility, and cancer to name a few. The FDA, who is supposedly protecting the American people, has allowed GMOs into the food supply without any proof that GMOs are safe, yet Kelloggs allows GMOs into your food despite your statement that you "take seriously the trust placed" in Kelloggs. Well, I am sorry to inform you that Kelloggs no longer has my trust. Kelloggs has the chance to be a leader and gain back the trust of the America people. Remove GMOs from all your products just like you have done in Europe and announce to the world that Kelloggs cares about the well-being of the American people. Protective Mom of Three Children"
Diana Reeves is feeling great about how the Kelloggs campaign is going and had this to say: "The Kellogg's campaign is going well. We have been sending a steady stream of emails to Kellogg's executives all week long, as well as filling Kellogg's facebook pages with posts and making phone calls. The campaign will continue until Kellogg's responds to our request that they make all of their products GMO free, as they do in countries that require labeling." Diana also shared the exciting news that she will be hosting a new internet TV show called GMO Free TV. Diana is going to invite Kellogg's to appear on the pilot of GMO Free TV, but she "fully expects that they will decline the invite and decline to comment." If you have not already joined GMO Free USA please JOIN NOW. Also, please join the Kelloggs campaign and start telling Kelloggs to get GMOS out of their food NOW! Sending an e-mail or posting on Facebook will only take a minute. You can also SIGN the petition telling Kelloggs to go GMO free. GMO Free USA needs your support. Things will never change unless we use our voices and let them be heard. Jeffrey Smith, the country's leading spokesperson on the dangers of GMOs calls this the Tipping Point, we in GMO Free USA can create that tipping point. GMO Free USA has 7000 members right now and is growing by the second, but the truth is, we should stand millions strong against the industry that is destroying everything in it's path. Thank YOU Diana for bringing all of us together and for your vision and perseverance to make things happen!